Jessica Pratt shared a post. Our ambassador and soprano Jessica Pratt wore a Treesure jewel during the interview she gave on March 15th for Tele 7 Noticias, a television program by the Spanish network Tele7. On this occasion the artist answered some questions about the new opera season of the ABAO. Ópera de Bilbao foundation and her concert "Delirio" which was held in Bilbao the same evening. Ieri ero in consiglio comunale a Bergamo per annunciare con il Sindaco Giorgio Gori e l'assessore Nadia Ghisalberti una notizia apparentemente di poco conto ma per me tra le più significative degli ultimi anni: la sostituzione dei cartelli stradali di ingresso alla città con l'indicazione "Città Unesco" (non poco per una città di "bocia"), ma sopratutto l'aggiunta "Città di Gaetano Donizetti" . Quando ho lasciato Bergamo per proseguire i miei studi e vivere la mia vita non sapevo manco chi fosse Gaetano Donizetti e solo a Milano ho capito che ero nato nella stessa terra di un bimbo musicista, figlio di sottoproletari, non baciato dal genio divino di Mozart o consimili; eppure un ragazzo tosto, determinato ed entusiasta; capace di sconvolgere il mondo del teatro mettendo al centro dell'attenzione ragazzi e ragazze animati dalla pasoliniana "disperata vitalità". La vera notizia strabiliante era la mancanza fino a ieri di tale riconoscimento verso il bergamasco più famoso nel mondo da parte dei suoi concittadini. Ora giustizia è fatta. Eventi come questi danno senso al mio lavoro. Dedicato a tutti i tanti giovani Donizetti che dopo di lui cercano uno spazio e un senso nella vita, caparbiamente, tramite la bellezza. Lunga vita a Gaetano. Third day of recording, today was Linda di Chamounix and i Puritani. The orchestra of Accademia del Maggio Musicale Fiorentino / Opera di Firenze are incredibile as is our wonderful maestro Riccardo Frizza this is one happy soprano! Jessica Pratt is feeling thankful at Teatro del Maggio. Crítica: "Delirante delirio". 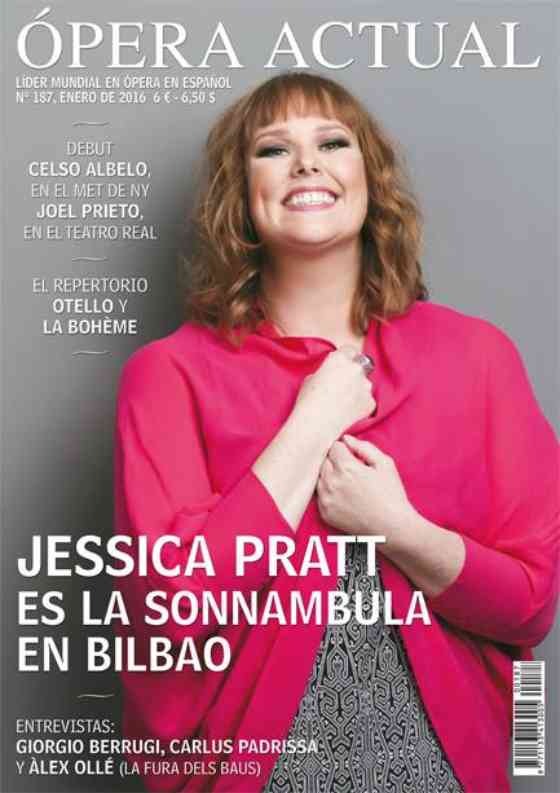 Recital de la soprano Jessica Pratt en Abao Bilbao con páginas de locura belcantista. Por Enrique Bert. Jessica Pratt shared a note. Some photos from last nights concert in Bilbao with maestro Giacomo Sagripanti! Now off to Florence to record some of my favorite madscenes with @maggiomusicale and maestro Riccardo Frizza! 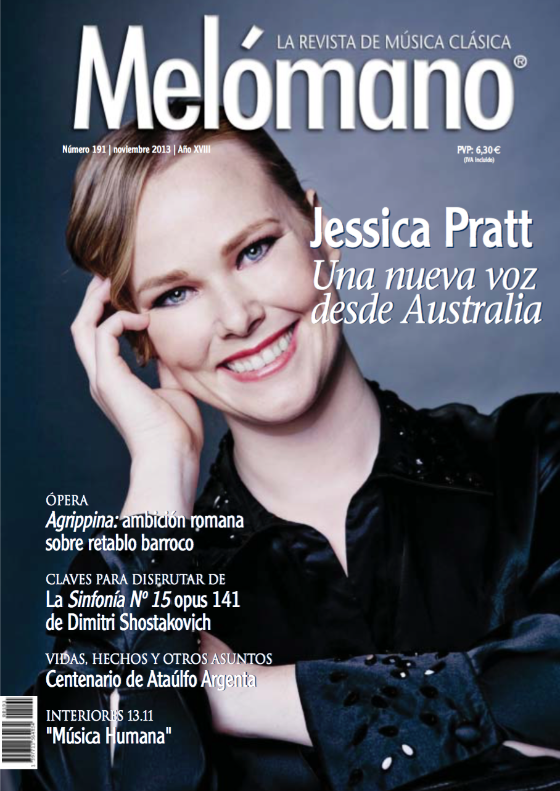 Jessica Pratt is in Barcelona, Spain. A small excerpt from the end of our rehearsal today...It was the second time through so I was half marking and yes the first cadenzas are hummed...a girls gotta rest somehow! 😉 If you are around Bilbao come and join us on Wednesday night for ‘Delirio’ ...five fabulous madscenes accompanied by some alltime favorite symphonies with the ABAO. Ópera de Bilbao and Euskadiko Orkestra under the baton of Giacomo Sagripanti I promise it will be a crazy night!! Jessica Pratt is at Teatro Arriaga Antzokia. Jessica Pratt is at Bilbao España. Jessica Pratt added an event. Jessica Pratt updated their cover photo. I have received a number of enquiries as to why I have disappeared for a month. I apologise if I have worried someone, however I have had a problem with my health and I had to withdraw from the current production of Ariadne auf Naxos at the Théâtre du Capitole de Toulouse. This is the second cancellation in my entire career; it was not an easy decision but it was the right one. Please don’t worry, I am in good care. I am doing well and will have a full recovery. My next engagement will be with Abao Bilbao for the Delirio concert on the 20th of March. I want to thank the theatre and the people in Toulouse for being so kind and understanding at such a difficult moment; I can’t wait to join you very soon. Finally I would like to wish Elizabeth Sutphen, Soprano and the entire cast of this production a wonderful opening night tomorrow. 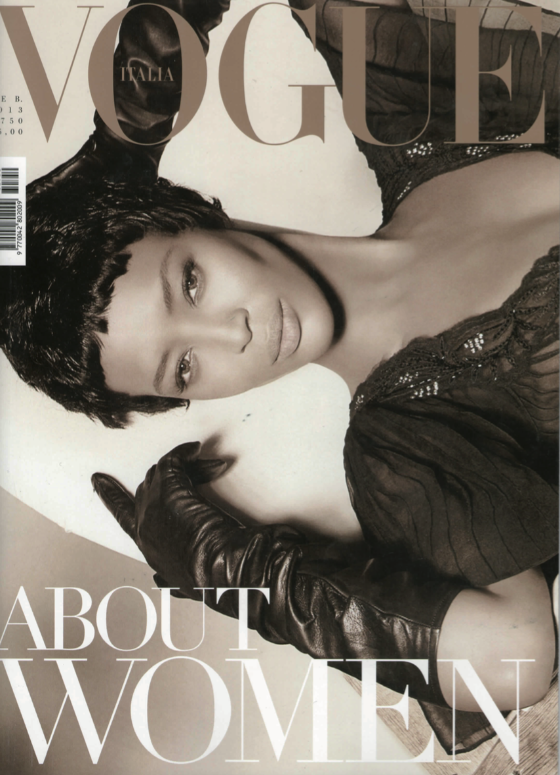 Toi toi toi to everyone !!! Our house was always noisy and messy. Mum and Dad loved to host big dinners and Mum would take in anybody who needed help. When I was 11, our family moved to Australia from Bristol [England] to be closer to my maternal grandmother, who was already living here. Moving halfway across the world was rather traumatic for me and my siblings [brother Daniel, 39, and sister Gemma, 34]. We bonded because it really felt like us versus the world. We moved houses five times – from Toowoomba to Brisbane and then Sydney – before I decided to move to Italy 15 years ago to pursue opera. What would you do to make a difference in the world? I think that the arts are extremely important today as we live in a world in which individuals become more connected but more isolated everyday. When people come to a live show they get to experience something as a group, it fosters a sense of community and empathy and I think that is a small way that we as artists can make a difference in the world. 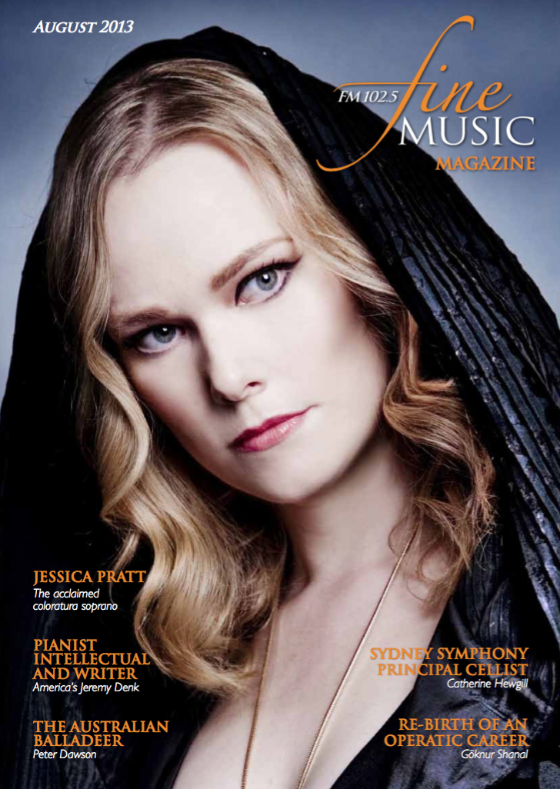 The great Aussie Soprano in "Lucia di Lammermoor"
Regina del belcanto, l'australiana Jessica Pratt ha stregato i fans italiani con le sue appassionate eroine della lirica. Cui presta la propria voluttuosa bellezza anglosassone. 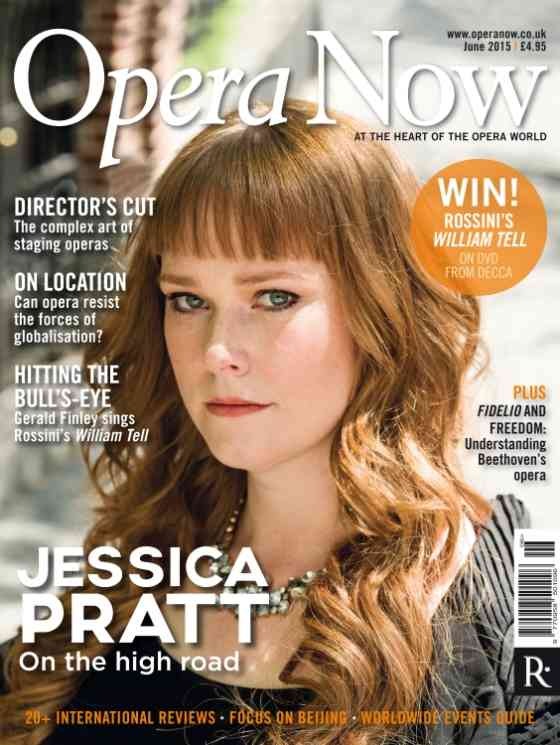 Hailed by the New York Times as a soprano of "gleaming sound, free and easy high notes, agile coloratura runs and lyrical grace", Jessica Pratt is considered one of today's foremost interpreters of some of Belcanto's most challenging repertoire. After completing her vocal studies in Italy with Renata Scotto and Maestro Gianluigi Gelmetti at Rome Opera she now prepares her roles with Lella Cuberli. British-born and raised in Australia, Ms. Pratt currently lives in Italy with her adopted dogs and cats. 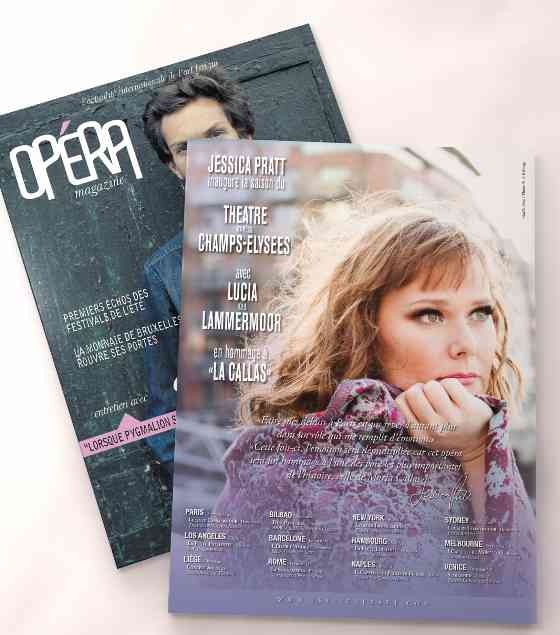 Since her European debut in 2007 as Lucia di Lammermoor Ms. Pratt's schedule has included performances at opera theatres and festivals around the world such as Accademia Nazionale di Santa Cecilia, Arena di Verona, Deutsche Oper, Dutch National Opera, Gran Teatre del Liceu, Los Angeles Philharmonic, Opernhaus Zürich, Rossini Opera Festival, Royal Opera House Covent Garden, Staatsoper Hamburg, Teatro "La Fenice", Teatro alla Scala, Teatro di San Carlo, The Metropolitan Opera and Théâtre des Champs-Elysées and has collaborated with conductors such as Carlo Rizzi, Daniel Oren, David Parry, Donato Renzetti, Francesco Ivan Ciampa, Giacomo Sagripanti, Gianandrea Noseda, Gustavo Dudamel, Kent Nagano, Marc Minkowski, Nello Santi, Riccardo Frizza, Roberto Abbado and Sir Colin Davis. 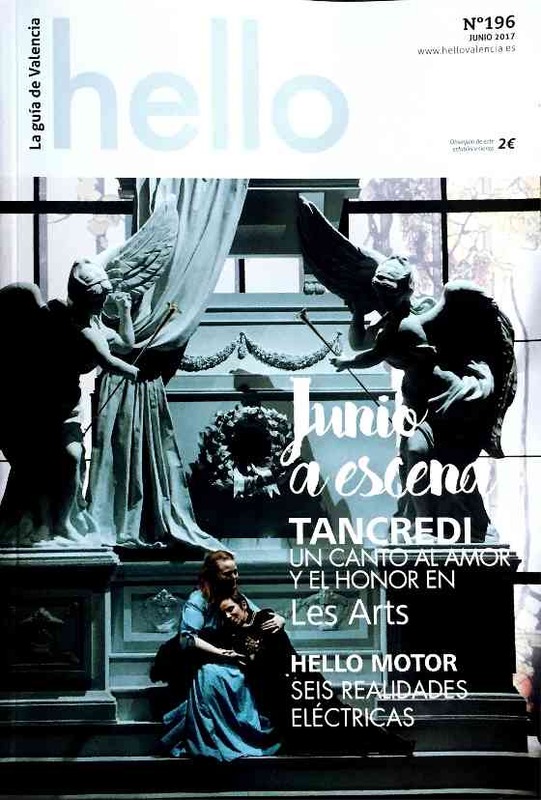 Very soon we will hear her in “Recital” for the Teatro alla Scala in Milan, accompanied by Vincenzo Scalera, as Amina, in Bellini's La Sonnambula for the Opera Las Palmas and as Lucia Ashton, in Donizetti's Lucia di Lammermoor conducted by Roberto Abbado for the Palau de les Artes in Valencia. This last year she has appeared as Queen of the Night, in Mozart's Die Zauberflöte for the Staatsoper Hamburg. As one of the most active singers in her field, over the last 12 years, Jessica has taken to the stage in 107 productions for 80 different organizers, in 71 cities over 12 countries. She has interpreted 39 different roles of which the most popular is Lucia Ashton from Gaetano Donizetti's “Lucia di Lammermoor” with over 91 shows in 30 productions, followed by Amina from Vincenzo Bellini's “La Sonnambula” and Elvira from Vincenzo Bellini's “I Puritani”. Her discography includes CD recordings of Rossini's “Otello”, Vaccai's “La sposa di Messina” and DVD/Blu-Ray recordings of “Giovanna d'Arco” from the Festival Valle d'Itria, “Adelaide di Borgogna”, “Ciro in Babilonia” and “Aureliano in Palmira” from the Rossini Opera Festival, the 2012 “New Year's Gala Concert” and Bellini's “La sonnambula” from Teatro La Fenice in Venice and Donizetti's "Le Convenienze ed Inconvenienze Teatrali" from Teatro alla Scala in Milan. In 2016 her first solo album “Serenade” was released by Opus Arte. Upcoming releases include a DVD of Ronconi's “Lucia di Lammermoor” with Teatro dell'Opera di Roma, conducted by Roberto Abbado and a DVD of Donizetti's “Rosmonda d'Inghilterra” with Festival Donizetti of Bergamo. 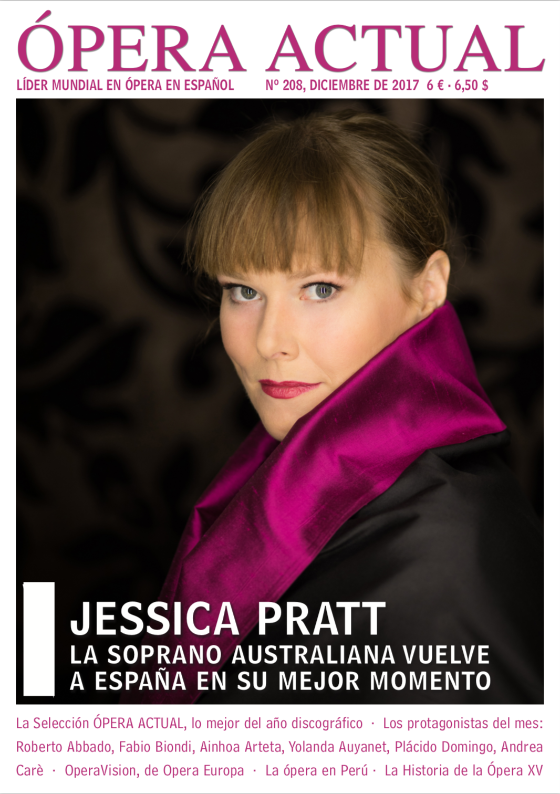 Ms. Pratt is the winner of numerous international vocal competitions, including the ”Australian Singing Competition” and the ”Vienna State Opera Award”. In May 2013 she was awarded the prestigious international prize for coloratura sopranos La Siola d'Oro “Lina Pagliughi”. In September 2016 she was awarded the “Oscar della Lirica”, International Opera Award as Best Soprano of the year.